Specialists and industry leaders are already getting ready for the March Targi Kielce exhibition. The Timber Industry & Forest Resources Management Fair will be held already for the 19th time. From 15 to 17 March 2019, dozens of companies will put the best foot forward and present their offers - the latest machines, technical innovations, and also Polish premières of equipment. Over 70,000 people had the opportunity to last year’s exhibition. For years the Kielce expo has been one of Poland’s markets greatest events, The LAS-EXPO, following previous years' example has been granted with the honorary patronage of the General Director of State Forests, Doctor Engineer The LAS-EXPO will traditionally commence with the Hunting Buglers Band’s live performance - this has become an inherent part of the trade show. The 2019’s Timber Industry & Forest Resources Management Fair will be the display for several dozens of machines. Thee appliances facilitate everyday work in forestry enterprises. 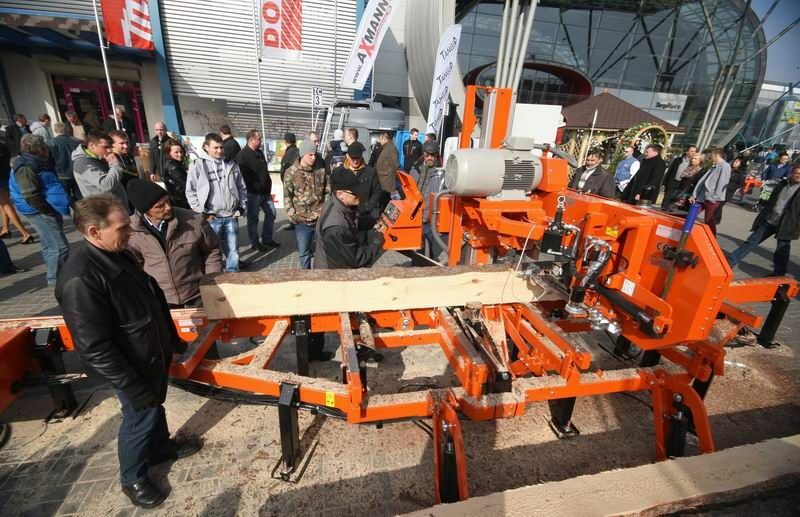 The exhibition is the showcase for the latest tools, harvesting, transporting and wood processing devices - modern sawmills, saws, chippers and shredders. Fair Las-Expo 2019 in Kielce is on the horizon. The Inter-Bis company from Nowy Sącz will present its novelty. Stunning products to become familiar with!